Two is for company and our 2 Bedroom Short Stay Apartment Galway is the perfect place to enjoy time with family, friends or colleagues whether you’re on holidays or working. 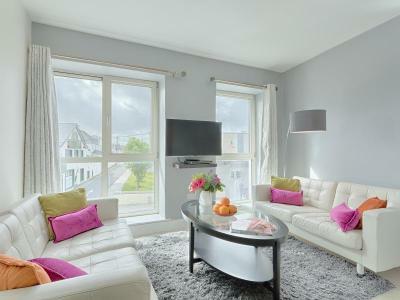 The Village 2 Bedroom apartment has two bedrooms, one en-suite bathroom and a spacious, stylish living area. It's the perfect place to enjoy time with friends, family or colleagues whether you're at work or play. •	We work hard to make sure that every stay is a great one. So feel free to ask our Concierge team for anything that will help you achieve this. •	Walk out the Front door of the complex to find a great choice of Restaurants and pubs right on your doorstep.